Cilmate Smart, Cape Town Exhibition, COP 17 , Durban, South Africa. This fully re-cycled exhibition at COP 17 was built in 4 working days. 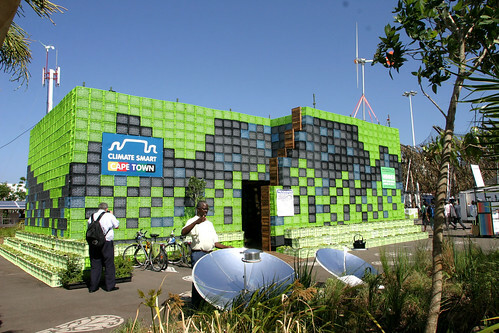 This exhibition stand showcases recycling, and creative and responsible use of alternative materials in the design and construction of contemporary exhibition stands.